ROCKMA Exploration Drilling AB offers diamond drilling with new perspectives. Our drills are mounted on tracked dumpers with broad bands that provide low ground pressure to protect the environment. We use additional crawler machine for transport of drill rods and other equipment. 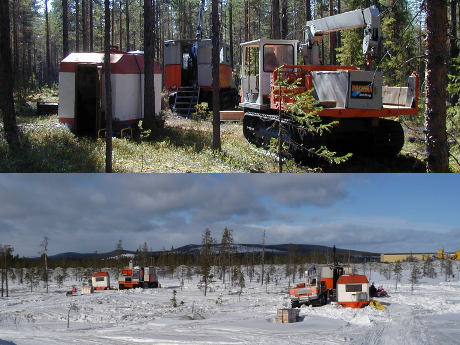 To and from the machine is personnel and some equipment transported by snowmobile in the winter and with off-road machine summertime. We have chosen this solution to provide drilling with minimal environmental impact.